Our lab tables come in a variety of styles and configurations suited for any lab environment. We manufacture and ship tables to clients all over the US, from top 100 universities to Fortune 500 companies. All of our furniture is SEFA compliant and USA made. Choose from a variety of powder-coated finishes, with chemical resistant tops. Quick ship within ten business days on select models. 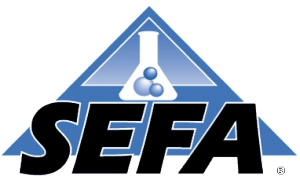 All of our laboratory furniture is USA-made and SEFA compliant. Purchase a single table or have our design team build a custom layout for your space. Our bolt-together workbenches are used in laboratories, government organizations, military facilities, industrial warehouses and factories, classroom, medical testing labs, and many other settings. Organizations in a wide range of industries use our laboratory design and furniture solutions to help them do their best work. Our tables are fully customizable with different leg and foot options, as well as powder-coating colors. Contact us to order a lab table today.